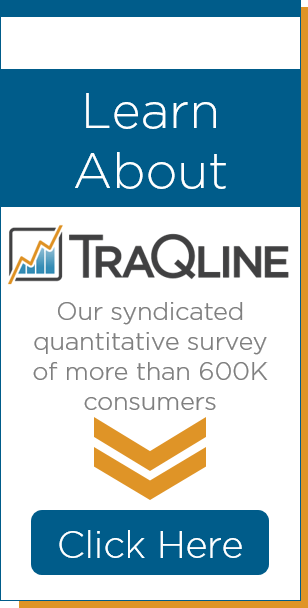 Need a quick online survey about your brand? Or, do you need a sophisticated pricing survey that needs to cover a number of different customer segments and take into account their stated behaviors? These represent the range of online quantitative surveys we do for clients. Since 1996 we have been using online surveys to find the right audiences to take surveys. Over this time span we have also seen the evolution of online panels and the degradation of getting some of the demographic cohorts that many of our studies need. As our experiences have evolved, we have honed in on the best online panel providers and on quantitative research methods and techniques to ensure we get trustworthy online respondents. With our high volume of online quantitative surveys, we often get the best value from our online panel partners. Combining that value with our knowledge and expertise on how to properly sample and validate respondents, we are able to deliver the highest quality online quantitative studies. But that’s not all we do. Our heavy emphasis on new product development research has us out and about the globe conducting in-person quantitative interviews in all kinds of locations. Using tablets and our online survey software, we are able to do the most sophisticated in-person interviewing available. With our flexible approach, a respondent can go through a survey that is learning as they are entering their answers and customizing what gets shown to them next. With this tablet approach we are able to do product evaluation sessions anywhere and not limited by where wireless reaches. Let’s not forget about telephone interviews and recruiting to web surveys. Despite all intentions, online interviewing has not made telephone interviewing obsolete. Sure, telephone interviewing to Millennials who only have cell phones is next to impossible, but getting a busy business manager or executive to take an unsolicited online survey…forget about it! Our heavy volume of B2B research necessitates that we continue to find creative and innovative ways to get hard-to-reach respondents to complete surveys. Whether it’s phone-to-web or strictly phone, we design each study with the target respondent in mind.